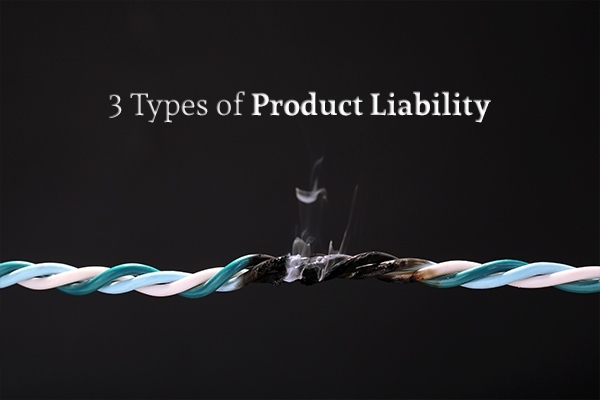 What are the 3 Types of Product Liability? | Juan Hernandez Law, P.C. What are the 3 Types of Product Liability? An example of a design defect product liability case in the past was the one regarding the 1970 Ford Pinto. Rear-end collisions to the Pinto – even at slow speeds – would cause the fuel to ignite and the car to burst into flames. It was discovered that proper collision testing was not conducted until several months after the car had already been on the market. Twenty-seven people were killed and several others were injured due to this design defect. To prove defective design, you must prove that the product had an unreasonably dangerous defect. This involves proving that when the product is used the correct way, its safety is not up to the standards of what a reasonable consumer would expect. In other words, if you use a product correctly but it’s designed poorly and therefore injures you, then you may have a design defect product liability case. The second element of a design defect claim is proving that the design defect directly or indirectly caused your injuries. A well-known manufacturing defect product liability case involved ice cream produced by Blue Bell in 2015. The equipment that Blue Bell used to manufacture their ice cream got tainted with listeria, leading to their ice cream getting tainted. Ten people got sick due to this listeria outbreak – three of whom eventually died. The conditions that prove design defects are similar to those that prove manufacturing defects: 1) the defect was unreasonably dangerous when the product was used properly; 2) the defect led directly or indirectly to your injuries; and 3) the product deviated from the established design standards. A previous failure to warn case was brought up against Glade & Grove Supply, Inc. in the 1990s. The plaintiff claimed that the company did not provide adequate warning that a tractor should have a lockout pin in place when travelling at high speeds. This failure to warn ultimately led to the death of Daniel Brown. In a failure to warn case, the plaintiff must prove that a warning label lacked proper warnings about the dangers of a product. Even if the manufacturer did attempt to warn about an inherent danger of the product, confusing wording or improper label placement may lead to the case being ruled in the plaintiff’s favor. And of course, the plaintiff must prove that the failure to warn caused their injuries. If you’ve been injured by a defective product, call the law offices of Juan Hernandez, P.C. Juan Hernandez is one of the few board-certified Personal Injury Attorneys in Texas, so he is highly qualified to take on your case. He and his team will fight to get you the compensation you deserve. Contact his office today to schedule your free consultation.